Last night, Mavy Legaspi and Cassy Legaspi celebrated their debut at events place One Canvas in Makati. The twins, who turned 18 on January 6, had an Oscars-themed celebration. 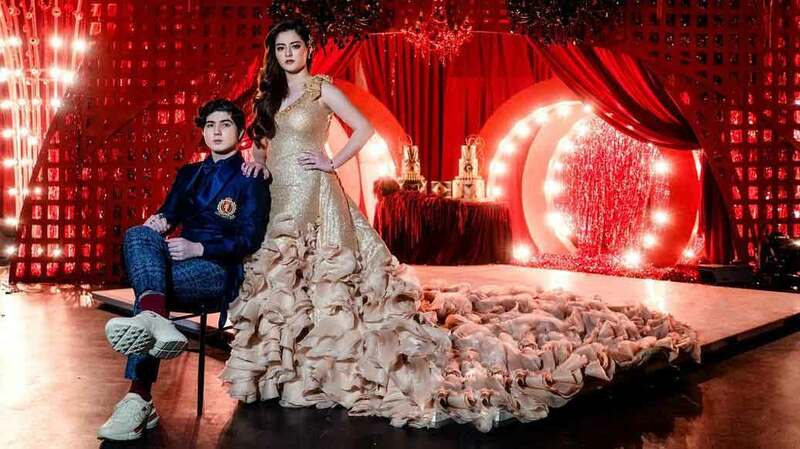 Mavy and Cassy, as well as their parents Carmina Villaroel and Zoren Legaspi, wore Francis Libiran for the big night. Gideon Hermosa was in charge of the event styling. He decorated the space with red details and further glammed it up with chandeliers and candles on ornate holders. One of the highlights—and one of the things that makes the debut unique—is that it had two important dances: Cassy's dance with her dad, and Mavy's dance with his mom.